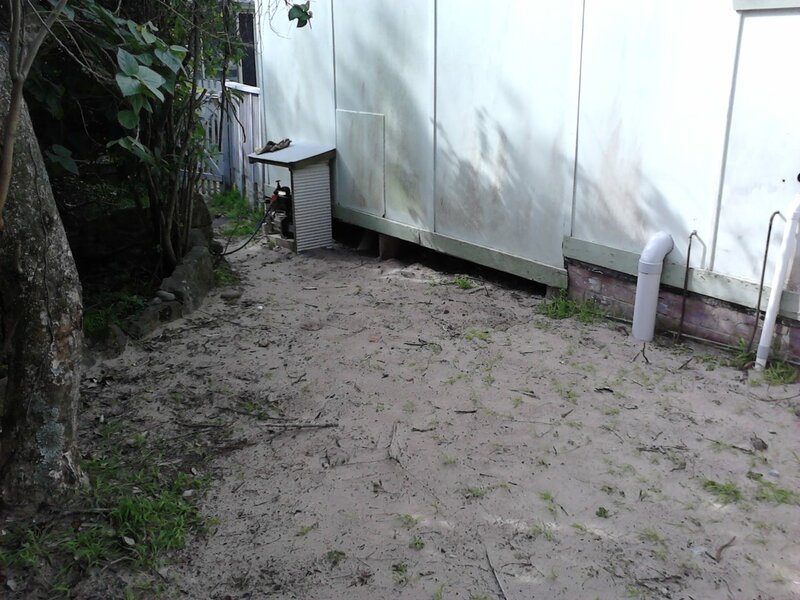 The owner of this holiday house asked for a renovation of a neglected section which was out of sight and unused. 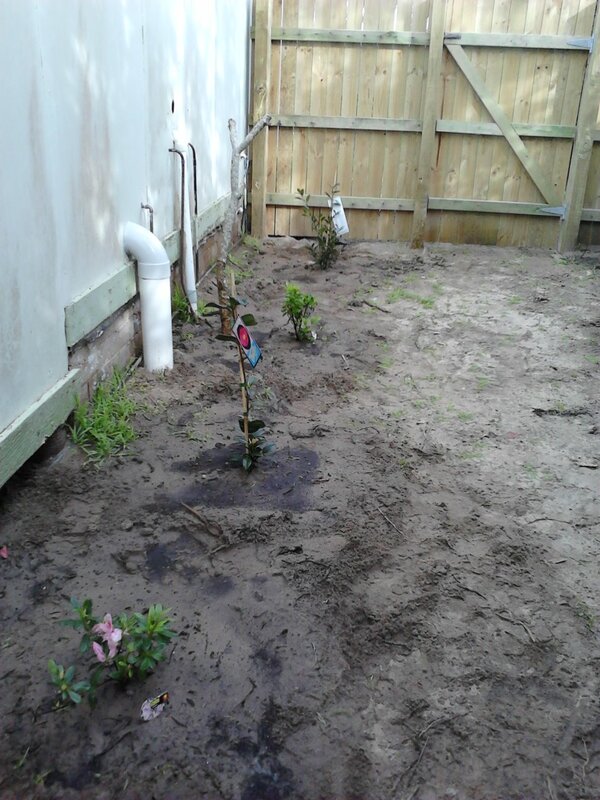 I planted 2 camellia and 3 azalea along the wall which, with a couple of years growth, will add some colour and distract from the blank wall. 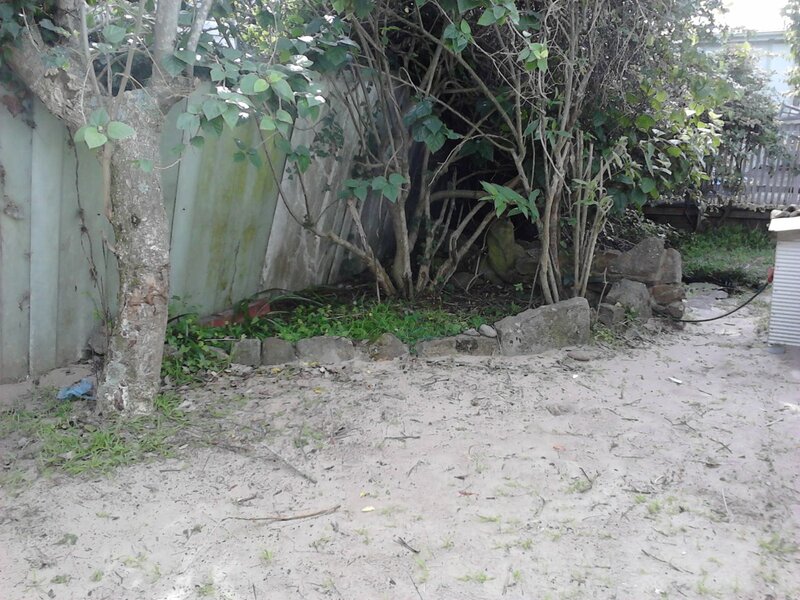 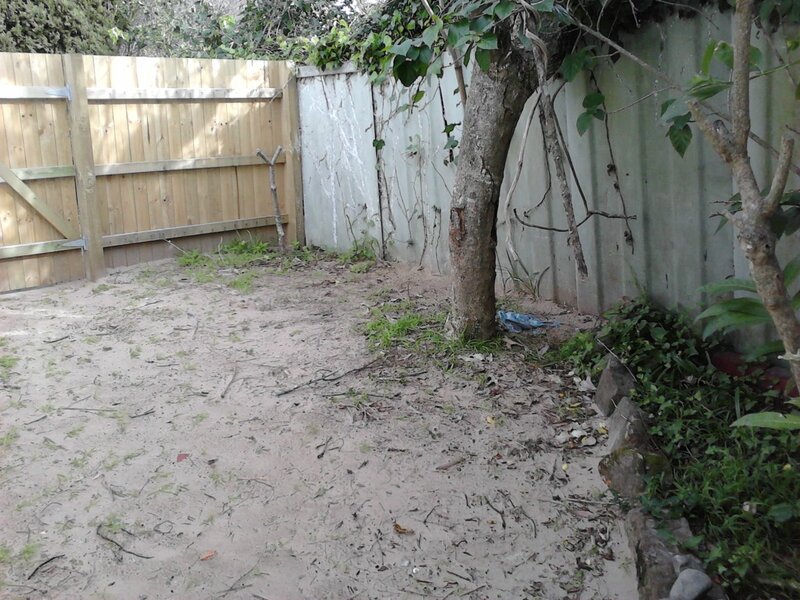 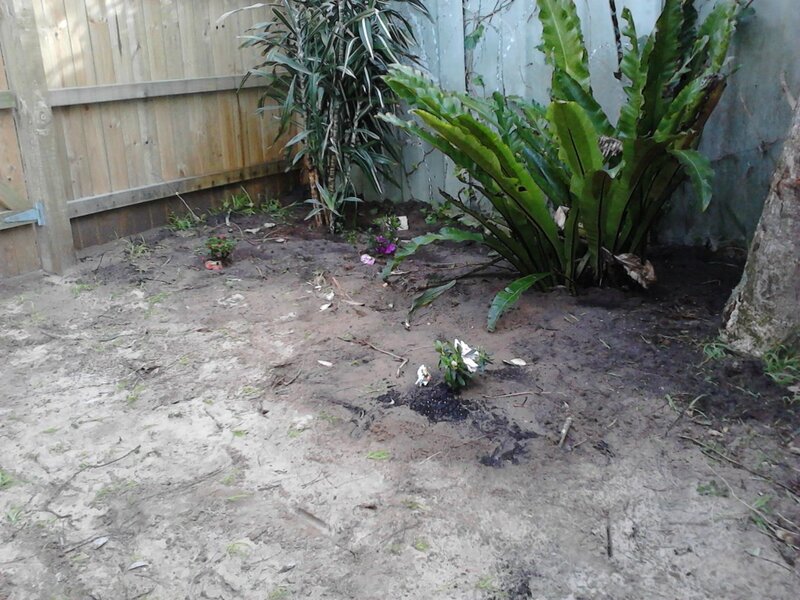 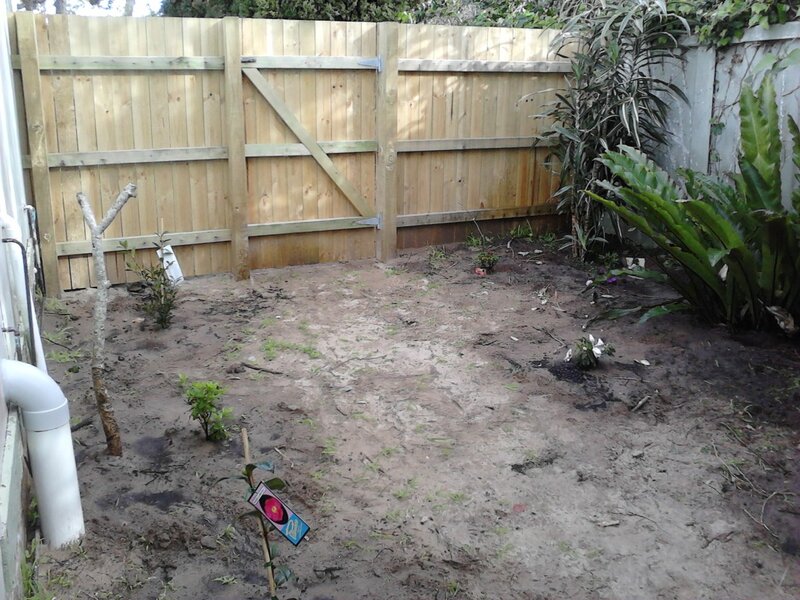 The side along the fence also had 3 azalea’ planted, along with a large birds nest fern and a mature dracaena in the corner; when the azalea establish and grow out, this will be a lovely setting. 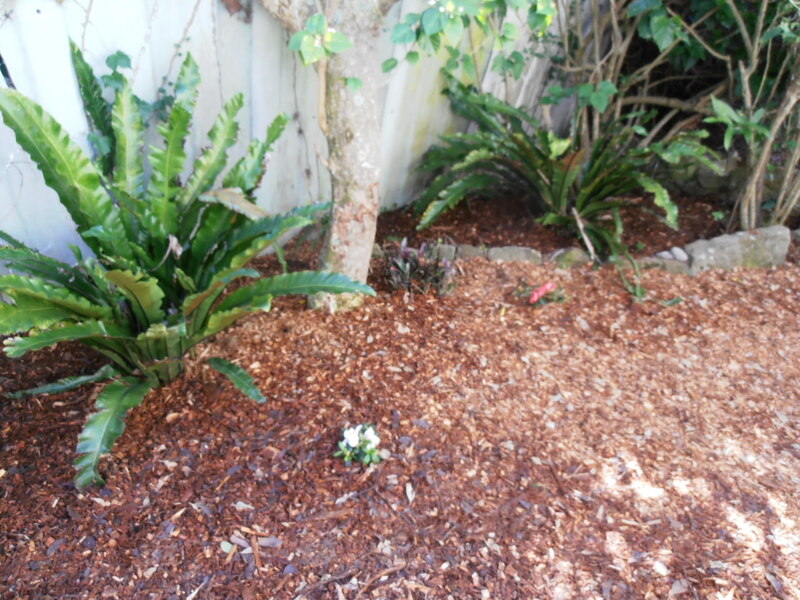 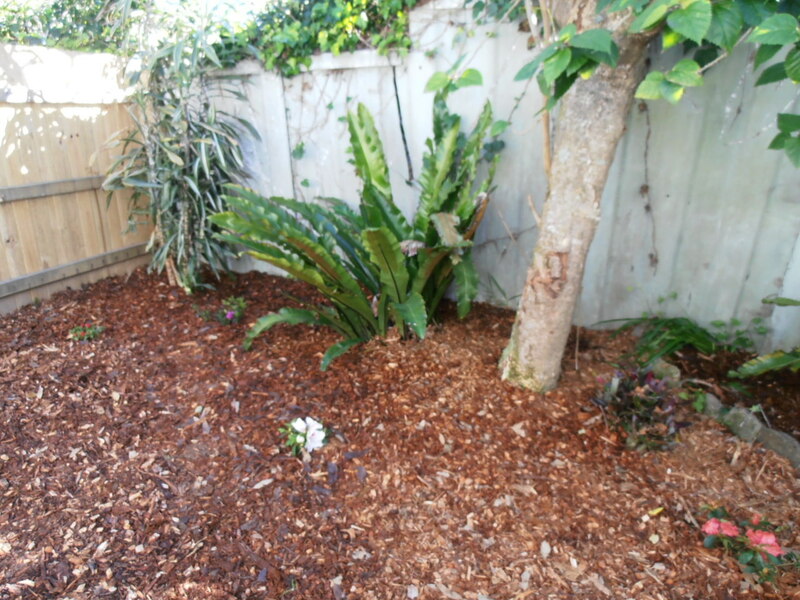 Another large birds nest fern was also installed in the old rockery. 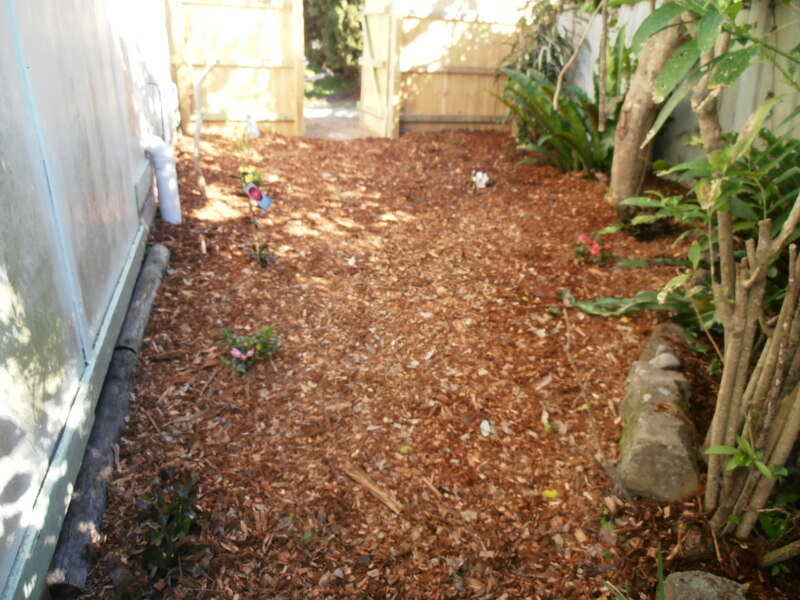 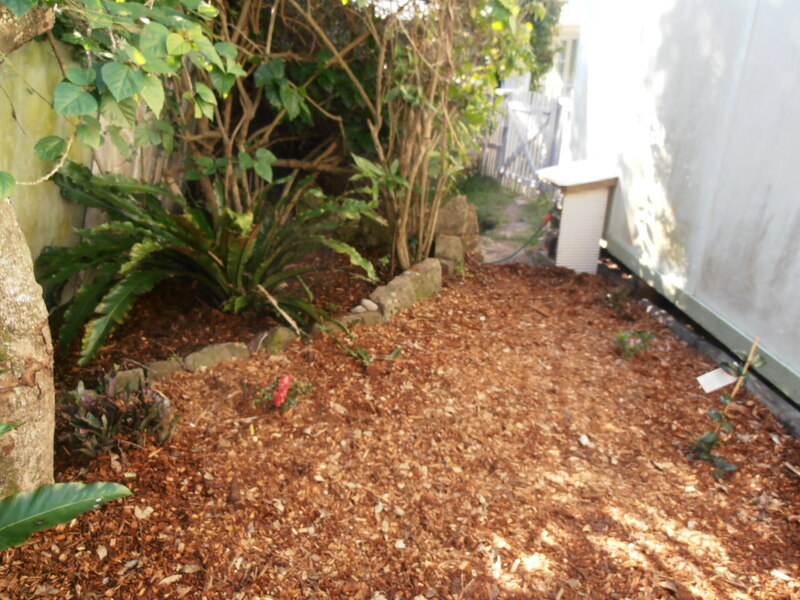 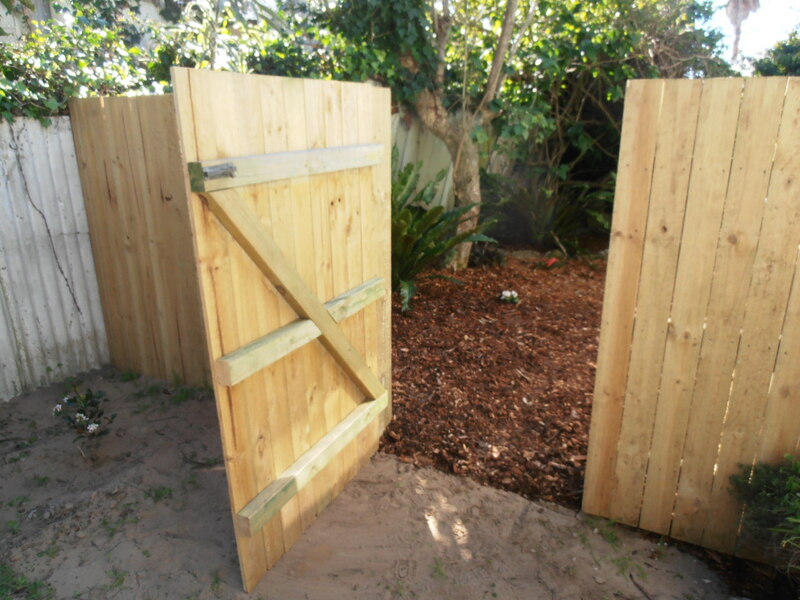 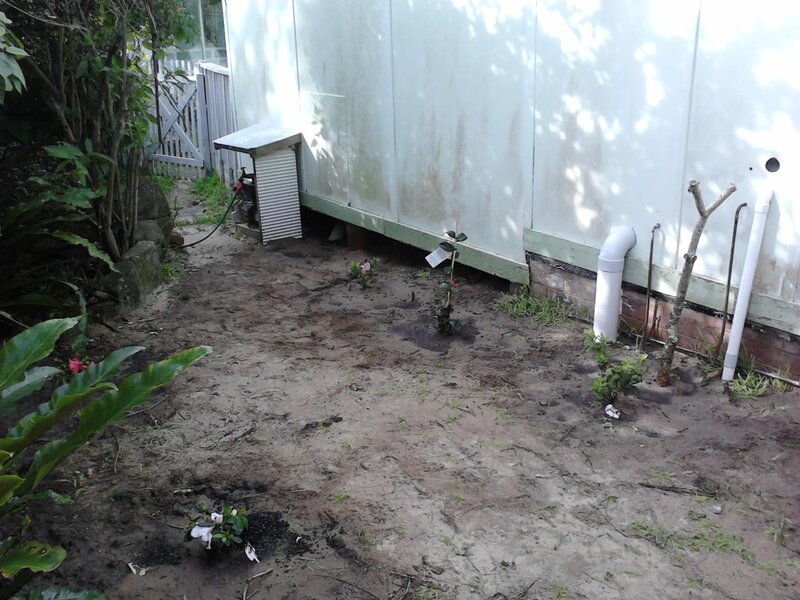 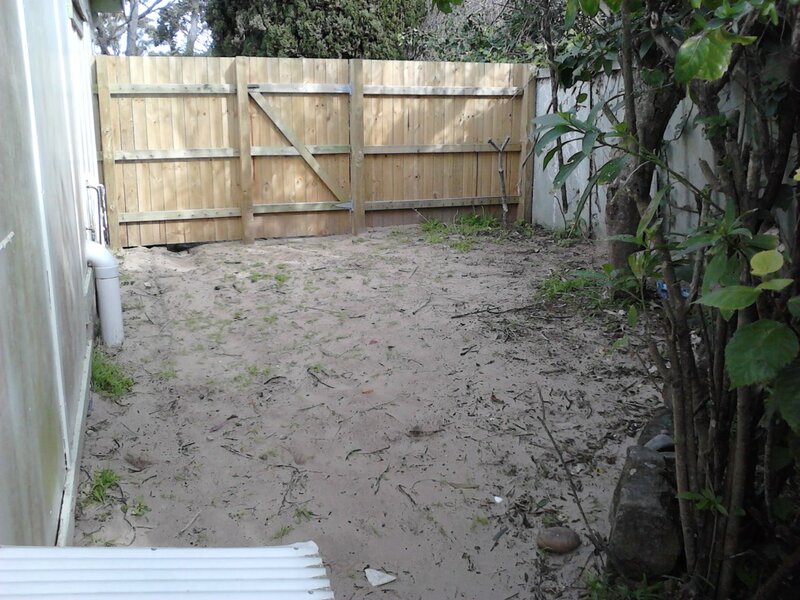 The whole planting was deep – watered, then the area was thickly mulched…….the mulching necessitated the gate being re-hung to open out instead of in.